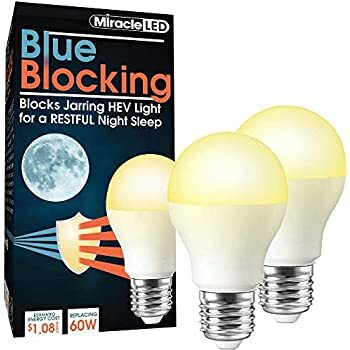 Amazon's Choice for "blue light blocking bulb"
Many people sleep more soundly and wake up refreshed by cutting out blue light prior to sleep! Ditch the sleeping pills and synthetic melatonin, your body knows how to create what you need for a restful sleep. Better sleep for a better you. Traditional bulbs are rich in blue wavelengths, which may suppress your natural melatonin- the sleep hormone. Your body responds to blue light by suppressing melatonin, keeping you alert and awake longer! 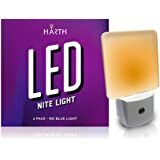 The 9 watt blue blocking LED light is rated to last 18 years. 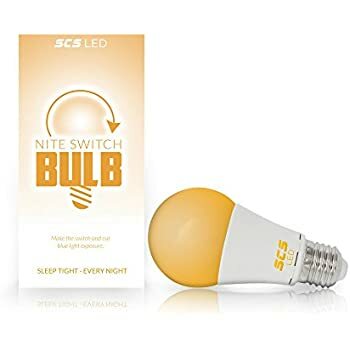 The LED bulb screws into any bedside lamp and is sufficient to replace your reading light for Bed without blocking melatonin levels. Replacing only 60W 130V incandescent bulbs. Ships from and sold by EZ Gifts 4 U. Sold by Paradigm Enterprises and ships from Amazon Fulfillment. Blue ultra-violet light is jarring and naturally produced by the sun to get US up and awake for the day, when we should be sleeping to daily Sunrise and Sunset. 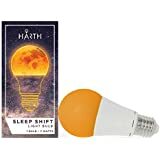 Simulate a Sunset every night with a gorgeous, Soothing Amber light built right into the LED that looks, and feels better than old, luminescent yellow painted bulbs and emits no blue light, as well as saving up to $49 a year on energy costs with our groundbreaking LED technology. 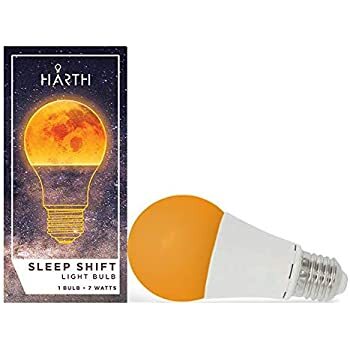 Flip the switch to an LED light specifically engineered to help you sleep better, and feel less fatigued during the day. Your body responds to blue light by suppressing melatonin, keeping you alert and awake longer, even If you think you are asleep! Better sleep quality, better rest, better price, better you. 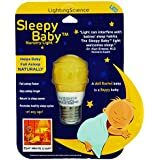 Miracle LED has spent years developing the perfect HEV blocking amber glow of the blue blocking bedtime light. Blue High Energy Light is jarring and naturally produced by the sun to get us up and awake for the day, making it unhealthy to our sleep cycle when exposed to at night, when we should be sleeping. Your circadian clock (your sleep/wake cycle) has been perfected over thousands of years, to daily sunrise and sunset. 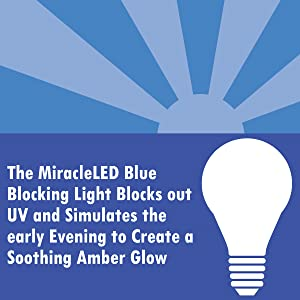 With the Miracle LED blue blocking light, simulate a sunset every night with a gorgeous, soothing amber light built right into the LED that looks, and feels better than old, luminescent yellow painted bulbs and emits no blue light, as well as saving up to $46 a year on energy costs with our groundbreaking LED technology. Blocking out blue light may help prevent sleep disorders, help get you ready for bed, and help prevent migraines. 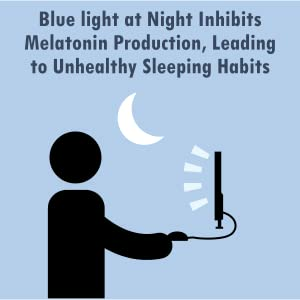 Cut out the blue light and give your system a chance to create melatonin naturally. Blue Blocking series is designed for you to study your own relaxing areas with bulbs that inhibit blue spectrum light. Blue Blocking bulbs are NOT replacements for actual medical procedures or tests. They are not meant to treat medical conditions of people that find trouble sleeping. 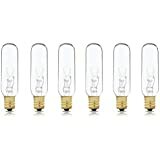 These bulbs only remove the presence and emission of blue spectrum HEV light within the light. They show a picture of the spectrum this light bulb supposedly puts out. The picture has ZERO blue in it. I looked at this bulb through a spectroscope and there is certainly blue coming off of it. It does put out a warmer light than the 2700k light I replaced so I will add a star for that. Update: I got a Lighting Science GoodNight bulb and compared it with this one. 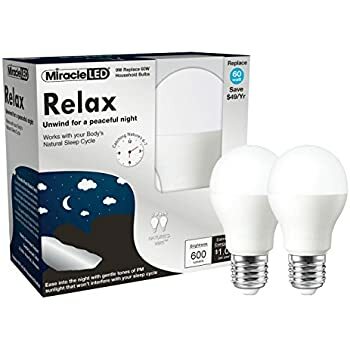 The Miracle Led Bulb claims to have a temperature of 2000K. 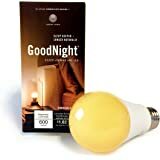 The Goodnight Bulb is noticeably warmer even though it has a higher claimed temperature of 2175K. 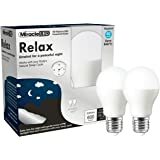 I have a couple of these bulbs and they work great. No flickering. They produce a warm golden light that I like. Between these bulbs, amber night lights, and blue-blocking glasses, I think my sleep comes faster. 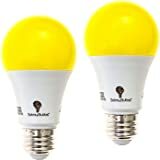 They are not dimmable but that is fine with me. Wish they weren't so darn expensive, although this brand is a bit less than some others. 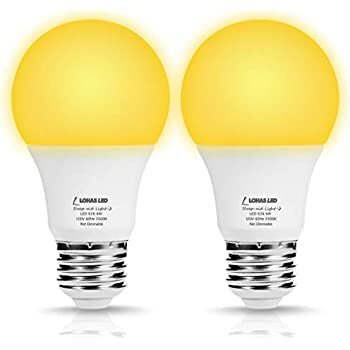 I just ordered another bulb by this company [https://www.amazon.com/gp/product/B01KZB28L2/ref=oh_aui_detailpage_o00_s00?ie=UTF8&psc=1] in a two-pack so we'll see how they are. 5.0 out of 5 starsSleep has improved! Not sure if these are helping but I am sleeping much better and I like the light the bulbs give off....somewhat golden like sunlight and romantic. I am a terrible insomniac and I try a lot of things, this was a swing and a miss. The bulbs are well made and were packed well for shipping. They seem like they would last a long time. I just find the light they put out annoying. It's very yellow. I'm not sure what I was expecting but these things are like trying to read by a bug light. 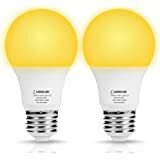 Just my opinion, like I said the bulbs seemed well made and were packed nicely for shipping. 5.0 out of 5 starsGreat bedside night light. 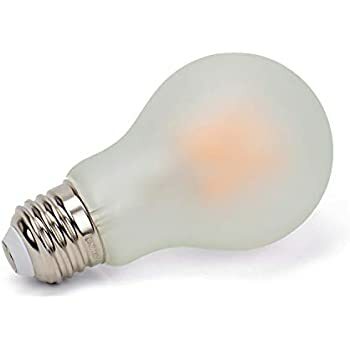 The bulb has the amber- colored glow to facilitate sleep. 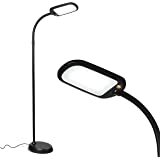 Not for reading or other activity requiring bright lights. Love the warm light this creates. Can’t say it had increased melatonin levels but it certainly makes our rooms cozy in the evening.